While fires continue to burn, smothering the province under a cloud of smoke, a group of Canadian doctors says wildfires in British Columbia illustrate the threat to human health posed by climate change. 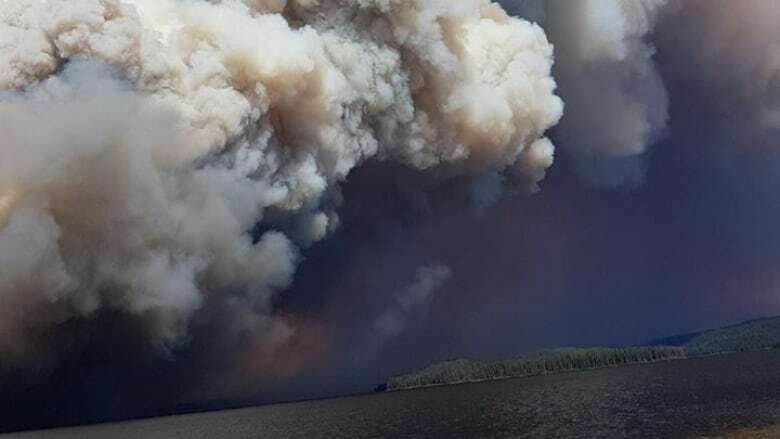 Dr. Courtney Howard, the president of the Canadian Association of Physicians for the Environment, is an emergency room doctor in Yellowknife and has done research into the health impacts of wildfire smoke. "For the longest time, we were talking about the polar bears and asking people to change their behaviours on behalf of the polar bears," Howard said. "But really, we are seeing very clearly that this is about our children. This is about what we breathe." Some scientists have warned climate change is contributing to the intensity of forest fires with hotter, drier summers creating more extreme fire conditions. 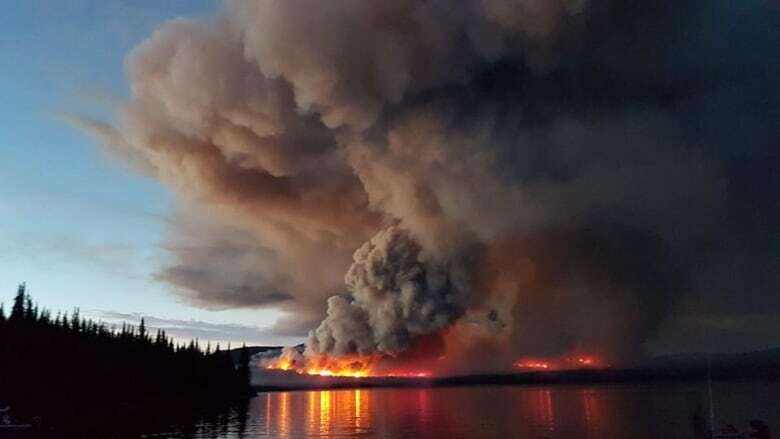 "The fires have been getting so much worse recently that the evidence based around smoke is really developing, but there are still some questions that we don't have answers to," Howard told Renee Filippone, guest host of CBC's The Early Edition. 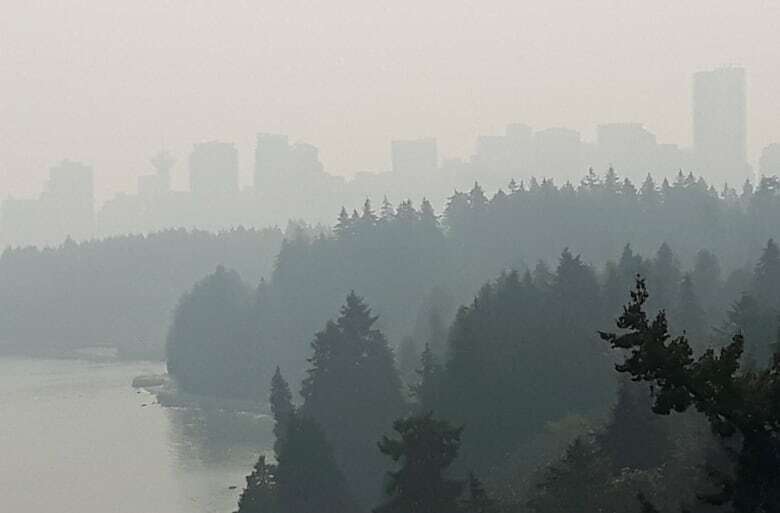 Many areas of British Columbia have been under an air quality advisory since last week, reaching 10-plus on the air quality health index in some places — a level considered "very high risk." This is the third year, in the past four years, that wildfire smoke has prompted air quality advisories in the region. "We don't really have good data on what the long-term impacts of what a really acute long term exposure like this would be," Howard said. "It's not great, but we don't really know much more than that." Her experience shows that exposure to smoke has clear health impacts short term though, Howard said. "When we had a really bad wildfire summer in Yellowknife in 2014, we actually had twice as much asthma as we usually do," she said, as one example. Climate change is quickly becoming one of the top priorities for doctors around the world, Howard emphasized, and the World Health Organization has also called climate change one of the biggest threats to human health of the 21st century. "This is on everybody's lips," she said. "As a physician, I'm concerned not only about the number of patients I'm going to treat ... I'm concerned about our ability to treat them."